59 Diner is an American restaurant par excellence! 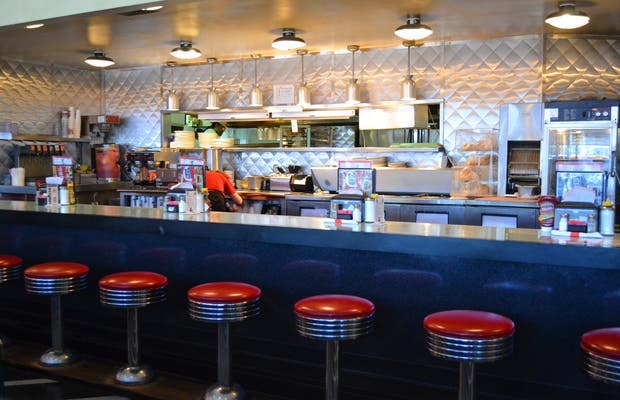 With retro-style red leather booths, waitresses in kitschy uniforms, and unlimited coffee, Diner 59 serves simple all-American food at reasonable prices. I'd recommend the chicken and waffles...you get two fluffy waffles covered in maple syrup and fried chicken wings.